WBO 130-pound champion Masayuki Ito lands a right on challenger Evgeny Chuprakov. WBO super featherweight champion Masayuki Ito 25-1-1 (13) successfully defended his world title crown for the first time with a dominate seventh round stoppage of Russia’s Evgeny ‘Happy Gilmore’ Chuprakov 20-1 (10) at Ota City General Gymnasium in Tokyo, Japan on Sunday night. The 27-year-old Japanese champion was making the inaugural defence of the WBO 130-pound title he won against Puerto Rico’s Christopher Diaz 24-1 (16) on points in Kissimmee, Florida in July. It was the first time in 37 years that a Japanese boxer had won a world title overseas. Ito has the run of the action throughout the fight and was leading 60-54 on all three judges’ scorecards when Chuprakov’s corner threw in the towel at 2:11 of the seventh frame. Despite being outclassed throughout the contest Chuprakov, 28, was game and aggressive from the opening bell but it was Ito’s superior boxing skill that gave him the edge in almost every department. After the fight Ito admitted he is yet to truly make his mark on the sport but said that he wants he opportunity to compete against the bigger names in boxing in 2019. On the undercard WBC junior flyweight champion Ken Shiro 15-0 (8) successfully defend his title for the fifth time with a wide points decision win over Mexico’s Saul Juarez 24-9-2 (13). 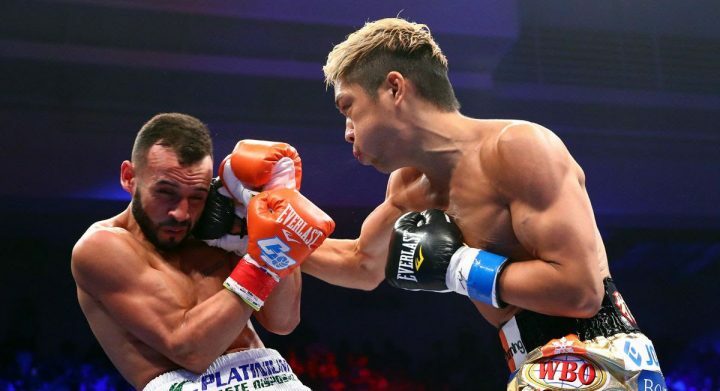 “Juarez was moving his head and I had a tough time knocking him down,” said the 26-year-old Shiro, who was awarded the victory by scores of 120-108 and 119-109 twice. In the other significant fight of the night Takuma Inoue – younger brother of superstar Naoya ‘The Monster’ Inoue – picked up the vacant interim WBC bantamweight title with a unanimous decision win over Thailand’s Tasana Salapat 48-1 (33) who boxes under the name Petch CP Freshmart. Inoue admitted he still has room for improvement if he wants to scale the lofty heights of his three-division champion brother Naoya. Undefeated powerhouse Naoya Inoue 17-0 (15) said his younger brother will only improve from the experience. “He still has a long way to go,” said Naoya, who is the short-priced favourite to take out the World Boxing Super Series bantamweight tournament.